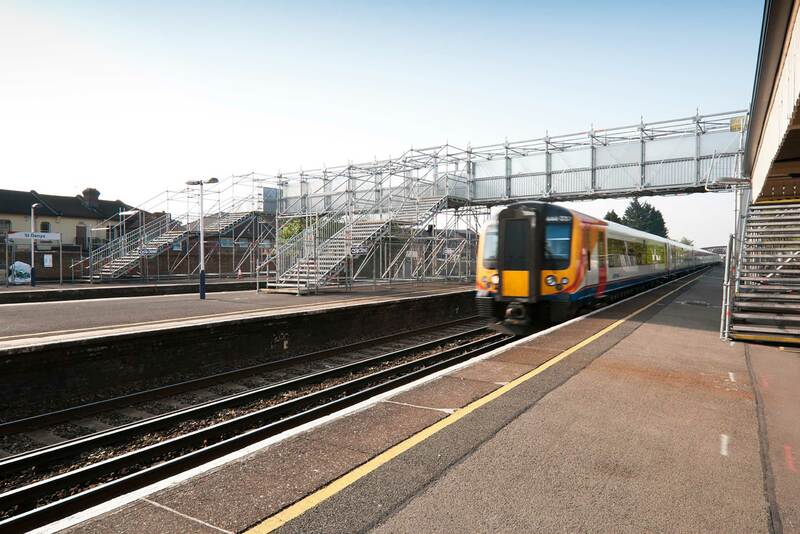 The rail industry’s first use of the new Layher modular bridging system has helped ensure access for passengers was maintained at St Denys Station in Southampton during the refurbishment of an existing footbridge – demonstrating clear advantages over tube and fitting alternatives. 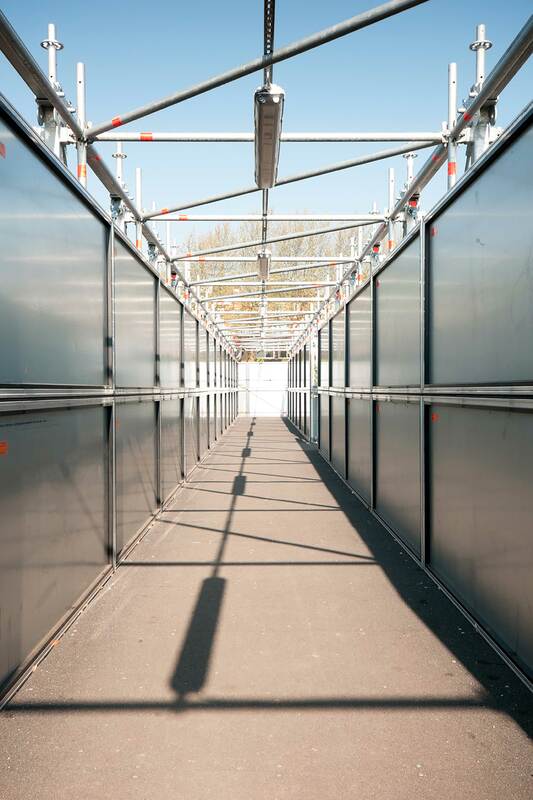 Scaffolding contractor Hadley Southern, working for main contractor Geoffrey Osborne Ltd. – appointed by Network Rail – says two weekend periods were allocated for the installation of the Layher bridge rather than three, which would have been needed with traditional material. In the event, only one weekend was required. 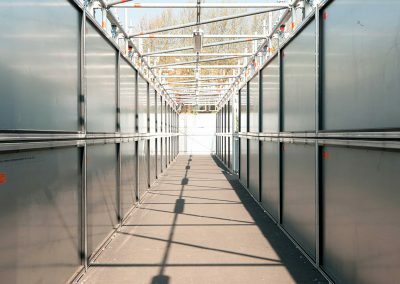 Clark Coffield, Hadley Southern’s Rail Division Contract Manager, also reports that the Protect panels used along the 31 metre total span produced a further remarkable reduction in installation time. 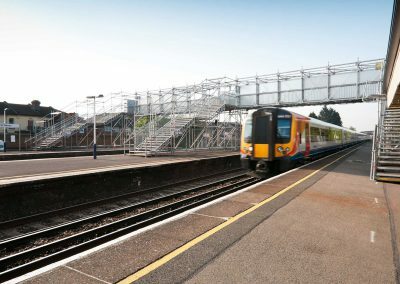 “The anticipated two days, which would have been required to fix a ply-board screening, was reduced to just 90 minutes,” he says.